It’s party season so there’s no better time to embrace bold metallics. Appearing on the cover of Grace magazine with my family was all about feeling and looking festive and what better look than vibrant hues of gold, red and green. I loved the kaleidoscope effect of the Dodo Or dress I was able to wear on the shoot – I felt it was quite dramatic with the array of colours but the shift dress silhouette kept it somewhat classic the same time. I think every girl needs at least one statement-making party dress that can elevate her look for party season. Whilst I wore something quite colourful alternatively you could go for one bold shade. My sister-in-law Hoda wore a beautiful Michael Lo Sordo dress in a rich plisse fabric which I could see turning heads at any event. 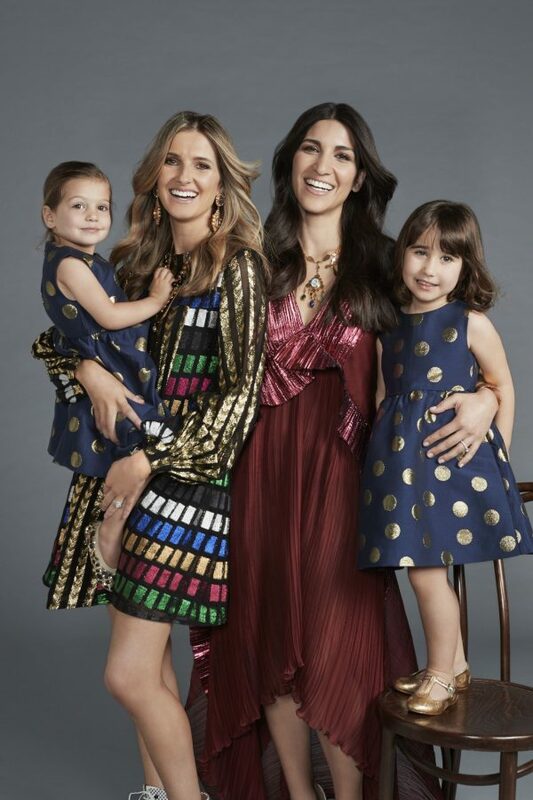 Even Sophia and my niece Rose got into the metallic trend with their adorable Boden dresses.